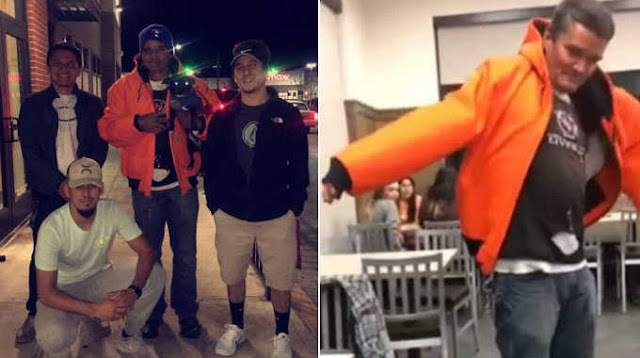 It was a quiet evening when Ryan Cook and his two friends grabbed a bite at a Chick-fil-A restaurant in Corpus Christi, Texas. The three teenage boys looked over and spotted a homeless man sitting at a nearby table. The man, Eddie, was counting his change and struggling to find enough money for a meal. Eddie had a worn Bible on the table, along with a photo of Jesus. The Chick-fil-A staff said Eddie came into the restaurant often, but hardly ever asked for handouts — except for when it came to his beloved dog, Socks. Any food Eddie receives goes to Socks first, and he frequently walks in looking for water to fill the dog’s bowl.